Patons UK Clansman Superwash Pure Wool D.K. one size to fit an average adult head. Width around crown 58cm. 23in. 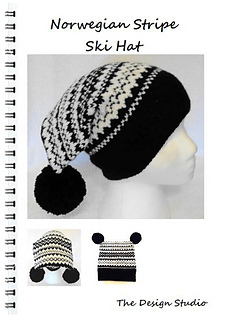 I’ve written the pattern to include 2 methods of knitting. 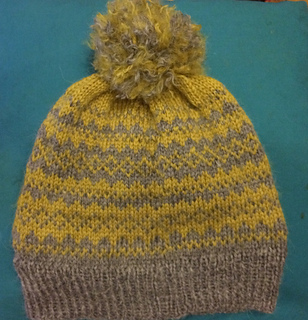 The first method is the traditional Fair Isle method (Knit in the round on 4 double pointed knitting needles. 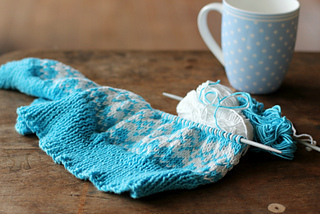 Seamless) The second method is worked flat and knit using 2 needles, with a back seam. The pattern is a lot easier than it looks. The pattern takes very little yarn. I’ve stated 50grams of each of the 2 colours used in the pattern instructions. The pattern is written with a chart for the fair isle stripes of colour. Clansman Superwash Pure Wool D.K.